?Big digits, accurate and easy to read. 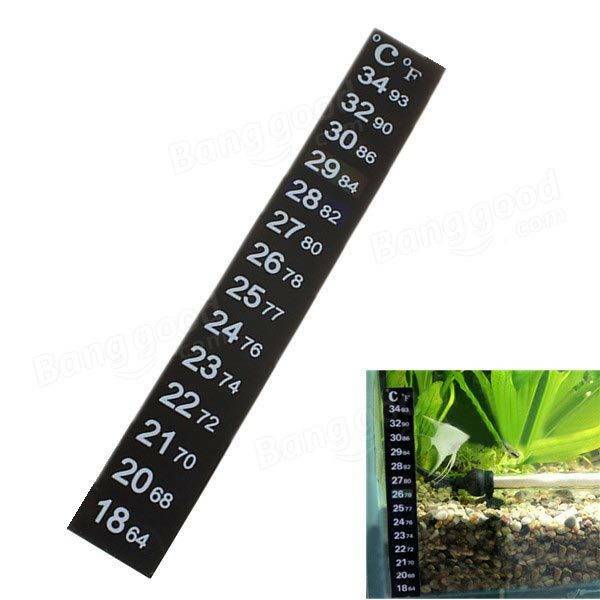 ?Suitable for cold water, tropical and marine aquarium. 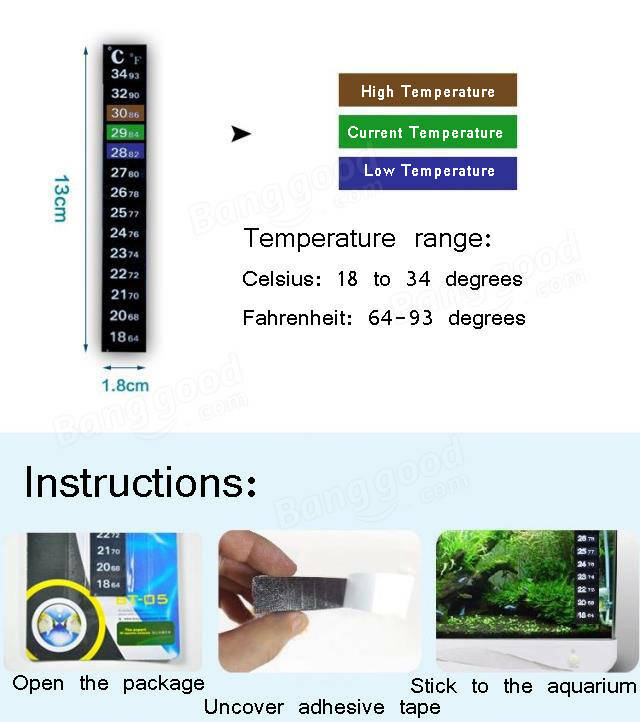 ?Both Celsius and Fahrenheit, you can choose one to read. just peel off the back of the sticker and the transparent protective film at the front and stick it on the outside wall of the aquarium, that is it!